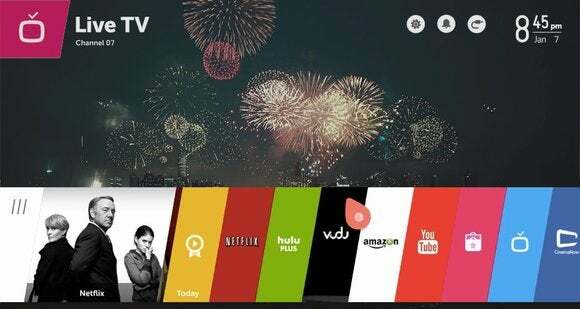 LG Electronics’ upcoming smart TVs will run an upgraded version of webOS that promises better performance and more customization. New features let users access favorite channels faster than before from the main menu and adjust their TV without interrupting the program they’re watching. WebOS has hopefully found a more stable home at LG, after the company bought the OS from Hewlett-Packard in the beginning of 2013. The OS celebrated its fifth birthday this year, after first being used on Palm’s smartphones.